Believed to be a scene in Raulet, PA. Martha lived there when she was 9 years old, approximately 1906. The girl represents Martha, herself. 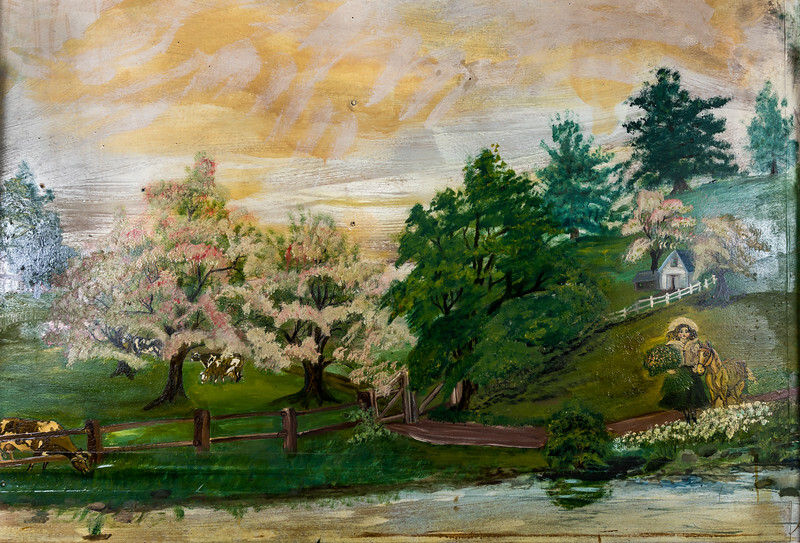 Painted 1943-1950.